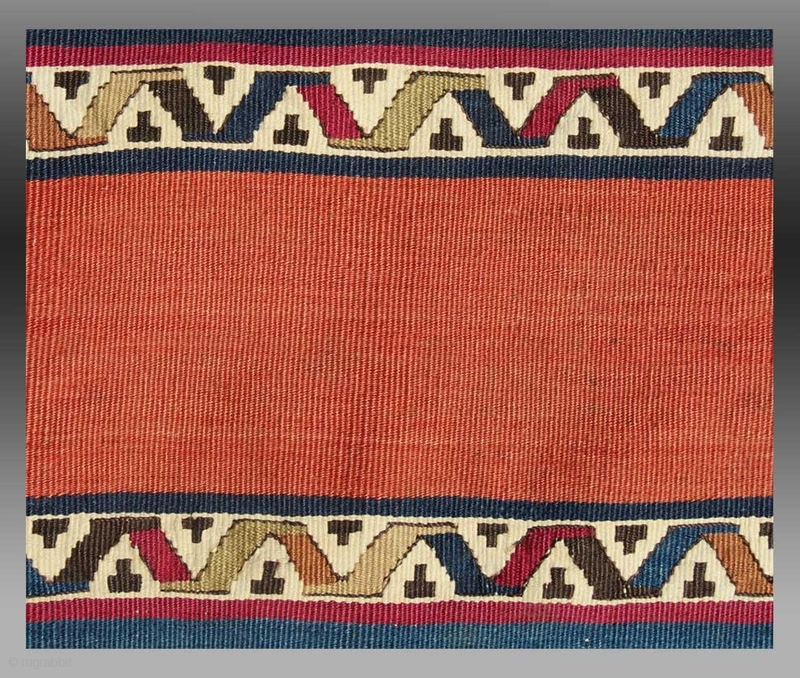 An extremely colorful and artistic flat woven bag face, presumably from east Anatolia. The colors are fabulous, the wide horizontal stripes of saturated color combining in what appears to be modern art. For more information/details, please inquire.